An advanced suspender harness for the MOSQUITO Modular Sleeve that was designed with greenside operations in mind. Profiled for better comfort and fully adjustable to fit any body shape. Mesh lined on the back for better air circulation. 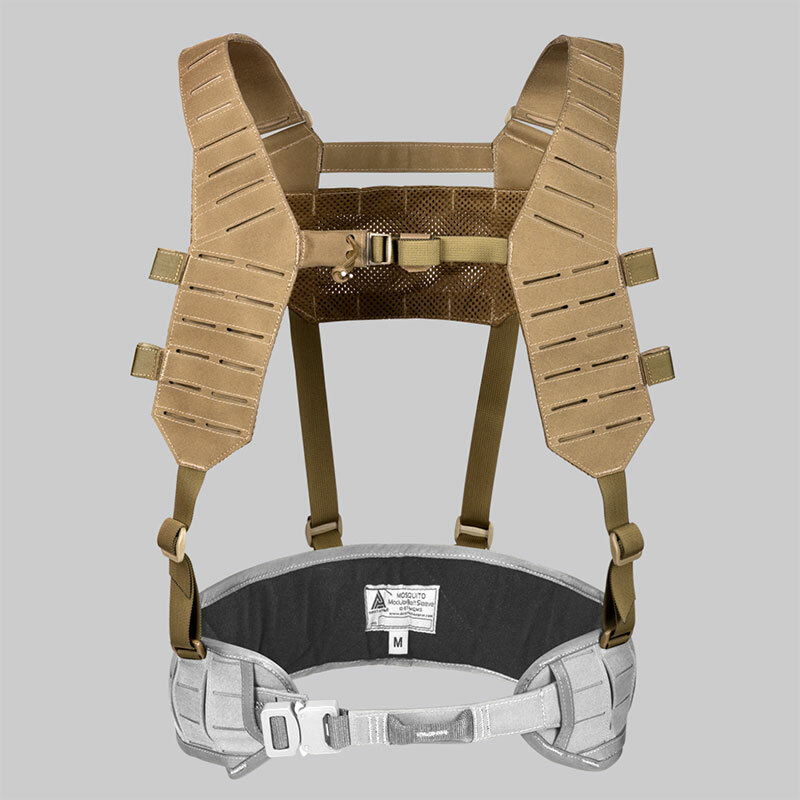 Low profile drag handle integrated with belt-to-harness connecting webbing enables better force distribution while evacuating casualty. The suspenders have numerous slots to enhance modularity and provide routing for PTT’s, radio wires and antennas etc.